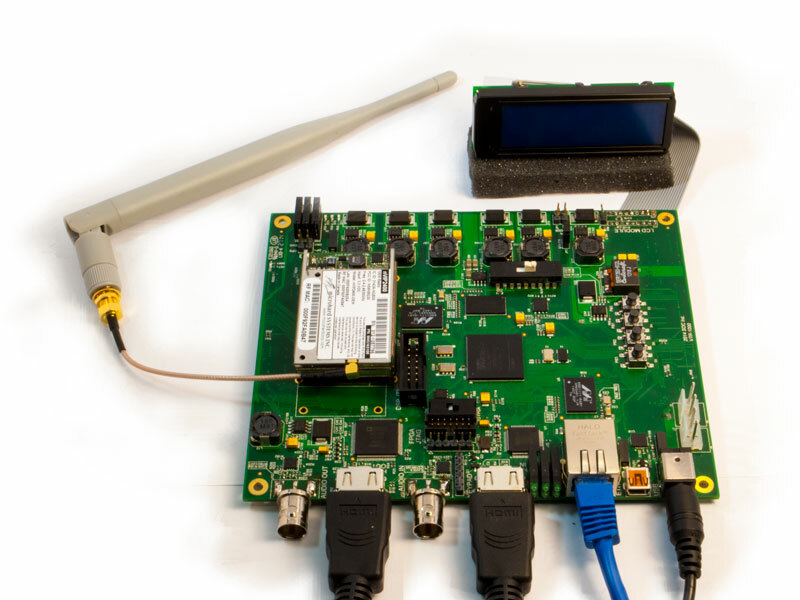 SOC offers development kits designed for hardware video product development and product evaluation purposes. The boards have many of the common ports and components needed for video applications, as well as industry-standard expansion ports (ex. FMC) for expansion capability. The boards have 204-pin SO-DIMM slots where CODEC Modules may be plugged in. The modules are pin-compatible to one-another, and may be swapped without any reconfiguration required. Development Kits are delivered along with firmware, software, and reference designs allowing engineers to build systems very quickly. Customers have the option of licensing the board and module files, making it very easy to migrate systems from the prototype board to a production system. SOC also offers optional extended engineering support for teams who wish to have expert technical assistance. SOC's support team is dedicated to customer success. Their dedication to product excellence extends well past the boundaries of their products.